Whittier or Seward? For over two hours I was sitting in front of my laptop zealously analyzing all pros and cons of having one of these towns as our departure point for Kenai Fjord National Park cruise. Seward won by offering wider options and better prices. But Whittier is what made us hit the Seward Highway following the cruise day and drive about one hour in the southeast directions. Without a completely clear idea of what to expect or do in this Alaska town, we left our hotel in Anchorage early in the morning. 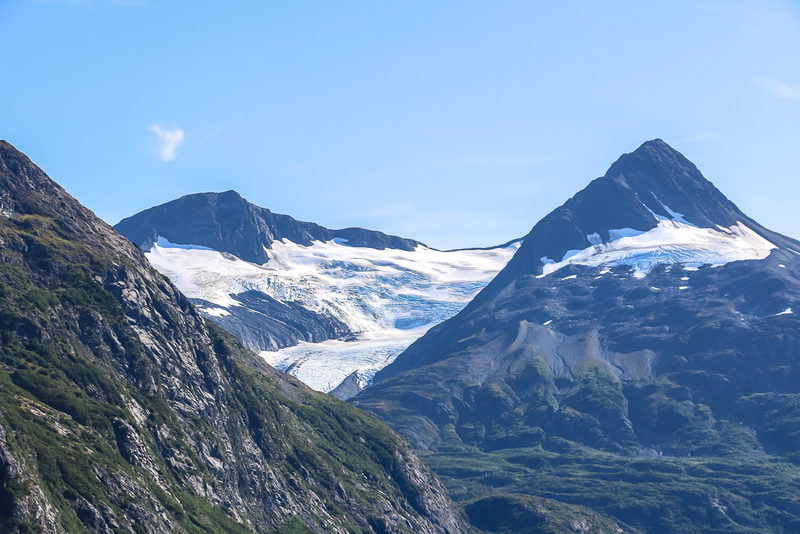 It took us a few stops (Alaska is so beautiful), before we got the change to explore our destination and create this Whittier itinerary that doesn’t include cruise. A small city lies in the head of the Passage Canal. So small that its population barely exceeds 200 people, almost all of them live in a single high building, Begich towers. There are no supermarkets or malls, no high-end hotels or resorts. Even to get to hospital, you need to drive or bike. And this is Whittier or, as better known by locals, a town that exists under one roof. Due to its remote location and ever-changing weather conditions, the city is not easily accessible especially during harsh Alaskan winters. Thus, most of businesses and public services operate from the same building that houses majority of the residents of Whittier. However, this doesn’t prevent neither locals nor random visitors from enjoying the place. On the contrary, enormous mountains on one side and temperamental ocean on the other create perfect conditions for outdoor activities and ideal city itinerary beyond cruise options. The only way to get to Whittier is through Anton Anderson Memorial Tunnel. No other way around. 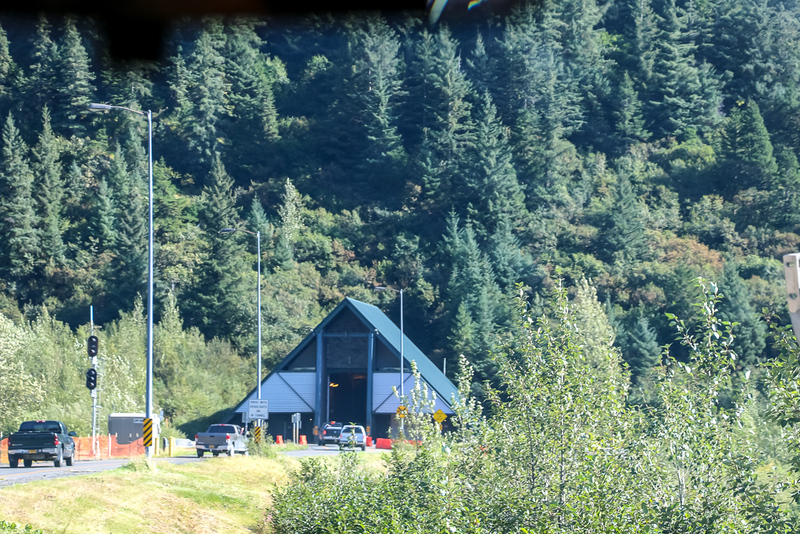 As enticing and dreamy as the longest (2.5 miles) highway tunnel in North America can be, it might present some inconvenience. The one-lane passage must be shared by vehicles in both directions, thus, it might take up to an hours for your turn to enter the tunnel. We were somewhat unlucky to reach Bear Valley, the tunnel terminus, and pay $26 (yes, crossing Anton Anderson Memorial Tunnel is not a free activity) just in time when a passenger train was leaving Whittier. The smoke from the “iron horse” held the traffic for extra 30 minutes. Inside, the tunnel reminds a set of an old movie. Dark walls seem to almost squeeze your car from both sides. You can’t speed up or go back: a long caravan of cars in front and behind significantly slows down your movement. So, for approximately seven minutes, all you can do is go with a flow and pray that none of the vehicles ahead will get flat tire or any other breakdowns and call for huge adjustments in your detailed Wittier itinerary. 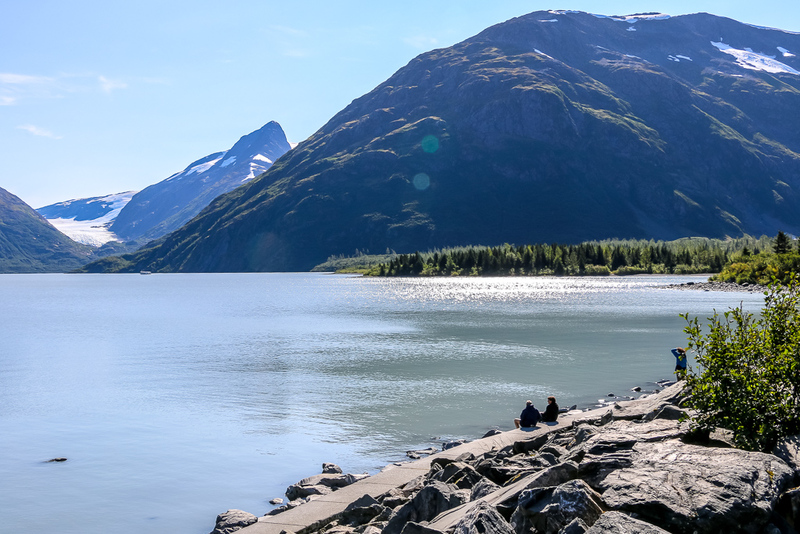 Like any other coastal Alaska cities, Whittier includes its Boat Harbor on the list of places you want to visit upon arrival. With 350 slips for transient and permanent berth holders, the harbor stays very busy all year long. Not the last role in this plays the fact that this ice-free port is your ideal starting point for Prince William Sound adventure with its ample islands, fjords, waterways, glacier, and rich marine life. 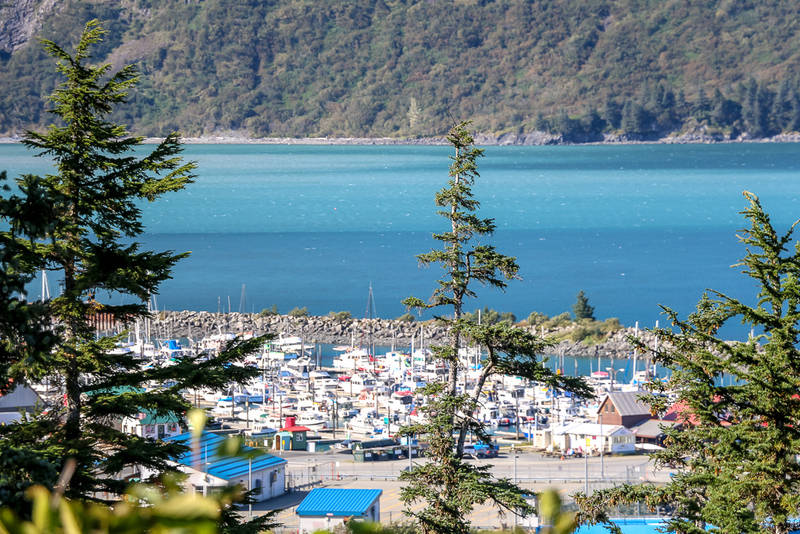 Moreover, kayaking, canoeing, and water-skiing might greatly increase your interest in the Whittier Harbor. For a more humble experience, just taking pictures against the epic backdrop of boats, blue water, and giant mountains is worth making an excursion to this part of the town. 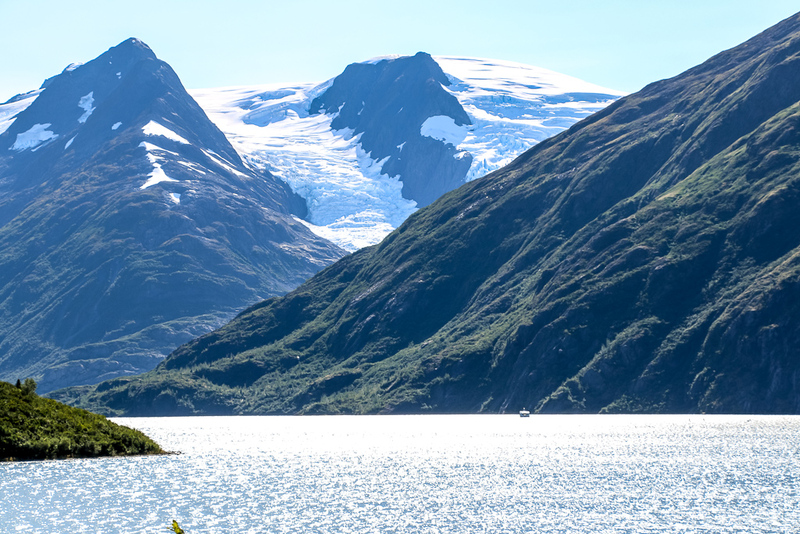 A short distance before you line up for the entrance to Anton Anderson Memorial Tunnel, Portage Lake seduces you with incredible view of Portage Glacier. Driving farther without stopping to admire a long, glaciated valley surrounding the lake with ice-cold water is absolutely out of question. And don’t be afraid to pass for the only lover of nature of this road. Big parking lot on the southern end of the lake makes adding additional stop to the Whittier itinerary that doesn’t include any cruise simple and easy. No need to drive far to see Horsetail Falls – the next destination on our Whittier to-do list. The impressive waterfall is located “in the backyard” of the Begich towers. There is no nicely paved parking lot there. White dividing lines indicating a precise spot for each car is also never to be found. But a small open space in front of forest undoubtedly indicates that parking is allowed there. From this temporarily car shelter, a narrow trail runs down a relative flat hill to abruptly end in front of mind-blowing Horsetail Falls. The impressive waterfall cascades off the surrounding mountain from a height of 330 feet and empties into the Lowe River that itself can claim a separate spot on Whittier itinerary. 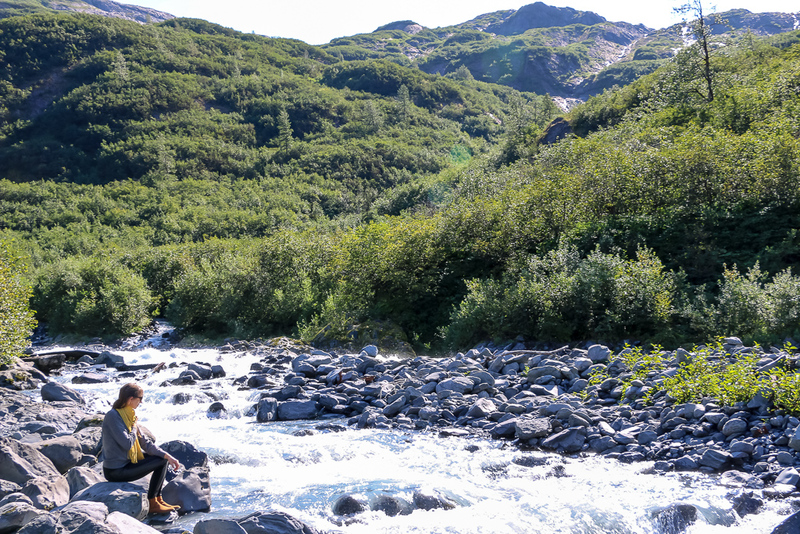 One of the simplest ways to see Portage Glacier on foot is by taking Portage Pass Trail. A two-mile-long trail with lake presents very few difficulties, but enormous amount of opportunities to enjoy the dreamy Alaska nature. Not once, but multiple times, you will get the chance to pass glacier-scraped stones and slabs. From almost the beginning of the trail, distant views of Maynard Mountain and Shakespeare Shoulder will guide you higher up. At the top of the hiking route, Portage Glacier and Portage Lake will come into view, signaling triumphant conquest of Portage Pass.